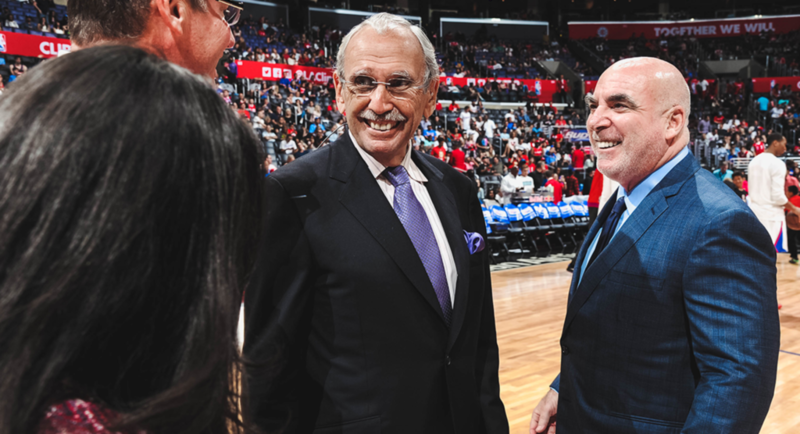 Play-by-play man Ralph Lawler, the longtime voice of the Los Angeles Clippers, announced Wednesday that he will retire after the 2018- 19 NBA season. Lawler joined the Clippers in 1978 when they moved to San Diego from Buffalo, New York, where they were known as the Braves. Since then he has called more than 3,100 games, according to the team. When the Clippers moved to Los Angeles in 1984, Lawler remained in San Diego, managing a real estate office, but returned to the Clippers in 1985. “I liked San Diego and was really settled there,” Lawler told the Los Angeles Times in a 1990 interview. Lawler is a graduate of Bradley University in his hometown of Peoria, Illinois, and was inducted into its Sports Hall of Fame in 1993. Lawler’s first announcing position with a professional team came with the San Diego Chargers in the early 1970s. He then moved to Philadelphia, where he was an announcer with the Phillies, 76ers and Flyers. He has also announced college basketball, golf, tennis, track and field, auto racing, boxing, college football and indoor lacrosse. Lawler is known for his enthusiasm and such expressions as “Bingo!” “Fasten your seatbelts” and “Oh me, oh my,” along with “Lawler’s Law,” which says the team reaching 100 points first will win.